Also known as “the eye vitamin”, lutein is a carotenoid and antioxidant that can support eye and skin health. It is highly concentrated in the macula of the eye, as well as in the retina, lens and optic nerve. 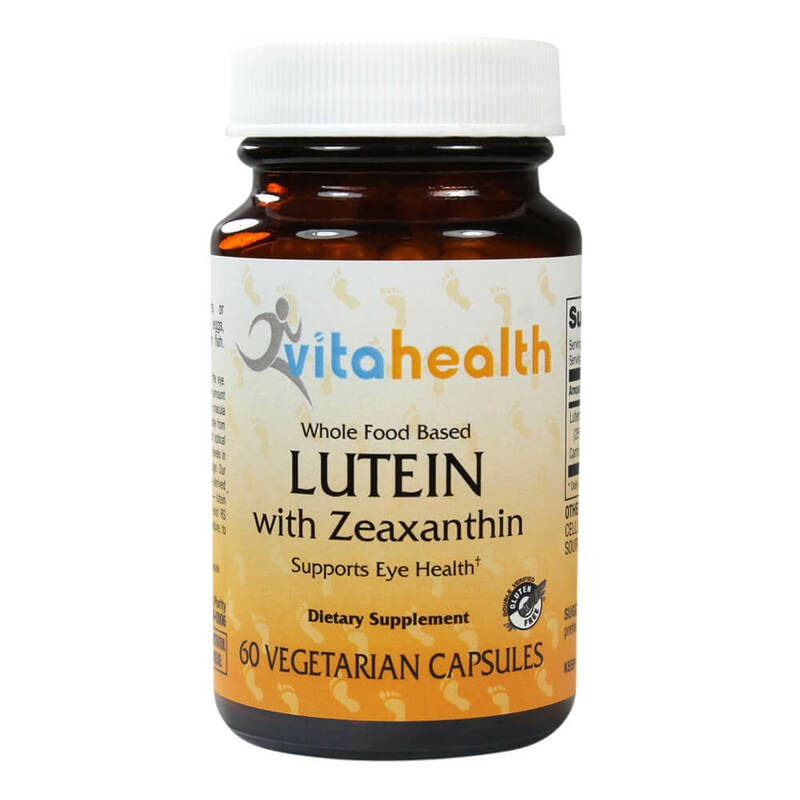 Lutein belong to a class of carotenoids known as xanthophylls, which are found in brightly colored fruits and vegetables. Xanthophylls act as natural sunscreens in plants, protecting them from the damaging effects of excessive light. These xanthophylls form the macular pigment with the highest density in the macula lutea. In humans, xanthophylls filter high energy blue light, as well as provide antioxidant support which can scavenge reactive oxygen species. The human body cannot make lutein on its own, which means we must obtain it from our diet or supplements. Research shows that lutein intake through diet and supplementation correlates directly to the amount of lutein found in the macula of the eye. Contains no artificial colors, flavors or preservatives; no wheat, gluten, soy, milk, eggs, peanuts, tree nuts, crustacean shellfish or fish. Suitable for vegans.